a juvenile court decision submitted for publication, the names of all juveniles shall be replaced with initials in the caption and body of the published decision. In any press release or other public presentation of information from a juvenile court, the names of any juvenile shall be replaced with initials. [a]t the disposition hearing and in this appeal, appellant has conceded that the victim is entitled to restitution for her stolen iPhone 4. 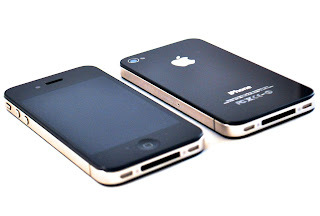 The sole appellate issue is whether the juvenile court `used the wrong standard in determining the amount of restitution owed,’ when it ruled that the victim `was entitled to the original purchase price of the iPhone 4 so that she could be made “whole.”’ We conclude that the juvenile court erred by basing the amount of restitution on the original purchase price of the phone, rather than the replacement cost for the phone, which would have reflected depreciating market factors, including the availability of newer models such as the iPhone 5. Accordingly, we shall vacate the restitution order and remand for a new restitution proceeding. In re Raymond C., supra. Pursuant to an agreed statement of facts, appellant entered a plea of involved to the May 2014 theft of an iPhone 4. At a July 22, 2014 hearing, the State sought restitution for the victim, Schina McKinnon Shields. Shields testified that on February 14, 2013, she purchased two new iPhone 4 cell phones for her daughters, paying a total of $540, or $270 for each. She produced store receipts showing a deposit of $94, plus a paid balance of $445.97. According to Shields, the phone stolen by appellant was working and in good condition. Moreover, the price paid for the phone did not include a phone contract, because the family already had purchased a plan. Citing this evidence, the State requested restitution in the amount of $270, representing the purchase price for the stolen phone. Defense counsel argued that the court was required to take into account the depreciated market value of the phone. [DEFENSE COUNSEL]: If the Court were to take the witness at perhaps her misunderstood word that each phone was $270, in the world of cell phones, a depreciation of a year is going to be substantial. THE COURT: Let me ask you, if you bought a new one, it would be substantially more? [DEFENSE COUNSEL]: If you were to buy a brand new iPhone, the latest iPhone 5, it would be substantially more. [DEFENSE COUNSEL]: Your Honor, the replacement cost would be the replacement for the item that was taken, not the latest and greatest. [DEFENSE COUNSEL]: It would be for—it would be for the phone that was taken. THE COURT: And that was a new phone that was purchased. Why must she now go buy a used phone? [DEFENSE COUNSEL]: Because your Honor what was taken was a used phone. A new phone was not taken. THE COURT: But they have to buy a phone now. [DEFENSE COUNSEL]: And on the used market, I am not sure what the market rate for a used iPhone 4 is but the respondent, the witness is not entitled to replacement of a brand new phone. THE COURT: Yes, she is. She is entitled to be made whole. [DEFENSE COUNSEL]: To be made whole. Absolutely. THE COURT: With an item. [DEFENSE COUNSEL]: And in that case, that was an iPhone 4. THE COURT: She didn't purchase a used phone. [DEFENSE COUNSEL]: She did not purchase a used phone. [DEFENSE COUNSEL]: And so what was taken was a used phone. The Court has had an opportunity to review these two exhibits here, Madam Clerk, 1 and 2 which have been marked for identification and admitted. I don't believe Ms. Shields was confused. Her testimony was clear to me. And on the record the she paid $94 for a deposit, $446.02 [sic] for the phone[s] after she purchased them and it is the Court's understanding that ... each phone was $270. Madam Clerk, the Court will in fact order restitution in the amount of $270. Juvenile courts may order restitution to `compensate victims who have been injured or who have suffered property loss as a result of the wrongful acts of a minor, although “a court's concern that the victim be fully compensated should not overshadow its primary duty to promote the rehabilitation of the defendant.”’ In re Earl F., 208 Md. App. 269, 276 (Maryland Court of Appeals 2012) (quoting In re Don Mc., 344 Md. 194, 203 (1996). Restitution promotes rehabilitation of the juvenile by impressing upon him `the gravity of harm he has inflicted upon another, and provides an opportunity for him to make amends.’ In re Herbert B., 303 Md. 419, 417 (Maryland Court of Appeals 1985); see In re Earl F., 208 Md. App. at 276.
the court is presented with competent evidence of any item listed in subsection (a) of this section. See also Md. Code, §3-8A-28 of the Courts & Judicial Proceedings Article (`The court may enter a judgment of restitution against the parent of a child, the child, or both as provided under Title 11, Subtitle 6 of the Criminal Procedure Article). This Court reviews a juvenile court's restitution order de novo for legal error as to the standards applied, for clear error as to any first-level findings of fact, and for abuse of discretion as to the ultimate decision to require a payment and the amount of that payment. See In re Earl F., 208 Md. App. at 275 & n. 2 (Maryland Court of Special Appeals; In re Delric H., 150 Md. App. 234, 240 (Maryland Court of Appeals 2003); see also Silver v. State, 420 Md. 415, 427 (Court of Appeals of Maryland 2011); McCrimmon v. State, 225 Md. App. 301, 306 (Maryland Court of Appeals 2015). Appellant argues that the juvenile court committed legal error in ordering restitution to `make the victim whole,’ rather than to rehabilitate him, and by improperly awarding the amount of the original purchase price, rather than the depreciated replacement value of the device, which was no longer new and had been technologically superceded by the iPhone 5. We agree with the State that the juvenile court did not err or abuse its broad discretion by expressing the purpose of a restitution order under Crim. Proc. § 11-603(a) as making the victim `whole; by ordering restitution in the amount of the “replacement value” of her stolen phone. As this Court has recognized, in In re Earl F., 208 Md. App. at 276, the statutory restitution scheme expressly authorizes compensation of `victims who have . . . suffered property loss as a result of the wrongful acts of a minor’ because such payments can promote rehabilitation by demonstrating to the juvenile the actual consequences of his behavior and by requiring him to take corrective action. At the heart of this appeal, then, is appellant's complaint that the juvenile court abused its discretion in ordering restitution based on the original purchase price of the stolen phone. Throughout the hearing, the court insisted that restitution should be premised on replacement cost, which is what it would take to make Shields `whole.’ Such a replacement cost necessarily would have reflected any depreciation in the market value of the iPhone 4 as a result of the introduction of more advanced technology and devices, including the iPhone 5. Yet the State presented no evidence of the replacement cost for the iPhone 4. Instead, it offered only the original purchase price of $270 that Shields paid for the phone fifteen months before it was stolen. In the absence of any other evidence of value, the court ordered restitution in that amount. Appellant argues that the juvenile court's ruling was either an erroneous application of an incorrect legal standard or an abuse of discretion in setting the amount of the restitution. Appellant relies primarily on two Maryland decisions recognizing that the value of stolen computers should take into account the depreciating effect of more advanced models hitting the market. In re Christopher R., 348 Md. 408, 444 (1998), the Court of Appeals considered the appropriate amount of restitution for a stolen computer and related equipment that was less than three years old. The juvenile court, stating that it had `absolutely no way to know what rate of depreciation should be used for computers,’ ordered restitution based on the original purchase price. Id. at 410. Applying the predecessor to Crim. Proc. § 11-603, which expressly capped the amount at `the lesser of the fair market value of the property or $5,000,’ the Court of Appeals held that the it was error to base `restitution on the purchase price of the stolen property rather than its fair market value at the time of the theft.’ Id. at 412-413. The Court reasoned that advances in the field of computer technology `are constantly being made so that used equipment depreciates in value over relatively short periods of time.’ Id. In Champagne v. State, 199 Md. App. 671, 676-678 (2011), this Court relied on Christopher R.'s reasoning in concluding that the State failed to prove the value element in the crime of property theft over $500. Id. at 673. In reviewing the evidentiary record, we recognized that the burden was on the State to establish beyond a reasonable doubt the value of a stolen three-year-old laptop, in accordance with Md. Code § 7-103(a) of the Criminal Law Article, which defines `value’ to mean `the market value of the property . . . at the time and place of the crime’ or `if the market value cannot satisfactorily be ascertained, the cost of the replacement of the property . . . within a reasonable time after the crime.’ Id. at 675. We also recognized that `t]he present market value of stolen property may be proven by direct or circumstantial evidence and any reasonable inferences drawn therefrom.’ Id. at 676. Citing Christopher R.'s instruction about depreciation of computer technology, as well as similar language from out-of-state cases, we held that the purchase price of the laptop was ‘”‘circumstantially relevant to the present market value’ of that property,'” but not sufficient by itself to establish that the value of the computer at the time of the theft was over $500. Id. at 676-678 (citation omitted). As a result, we vacated that conviction and directed a guilty verdict on the lesser included offense of theft of property worth less than $500. Id. at 678. The State attempts to distinguish Christopher R. on a number of factual and legal grounds. First, the State argues that in appellant's case, the juvenile court did not mistakenly believe that it was required to base the amount of restitution on the original purchase price, and the State did not take the position that replacement value was irrelevant. Neither of these proffered differences is material to whether the juvenile court erred in ordering restitution based on the original purchase price of the phone. Alternatively, the State points out that unlike the predecessor statute applied in Christopher R., the current version of Crim. Proc. § 11-603 does not expressly limit restitution orders to `fair market value’ and requires only `competent evidence’ to support the amount of the restitution. We are not persuaded that the holding or rationale in Christopher R. would be different under the current version of Crim. Proc. § 11-603. Although the statute no longer contains the `fair market value’ language, `a victim's entitlement to a restitution award and the amount of the award are facts that the State must establish by a preponderance of the evidence.’ Juliano v. State, 166 Md. App. 531, 540 (2006). It is the State's burden to `introduce “competent evidence” to carry its burdens of production and persuasion that the victim is entitled to restitution, and if so, the amount of it.’ Id. As recognized in Christopher R. and Champagne, when restitution is ordered for stolen computers and comparable electronic devices that are commonly subject to market depreciation, including `smart phones’ like the iPhone models, the State cannot satisfy its burden of production merely by presenting evidence of the original purchase price. [h]ere, there was no dispute that Shields is entitled to restitution for her stolen phone. When the State offered evidence of the original purchase price, defense counsel challenged that evidence, because it did not account for the depreciation in market value during the fifteen months Shields used it before the theft, during which newer technology and devices, became available. Neither side offered any evidence of what a new or used iPhone 4 would cost. Despite the juvenile court's insistence that the appropriate measure of restitution was the cost to replace the stolen phone, there was no evidence of that replacement cost. Under the analytical framework of Crim. Proc. § 11-603, the question here is whether the original purchase price of Shields's stolen phone, by itself, established the appropriate restitutionary measure of her loss. See Juliano, 166 Md. App. at 540 (2006). Following the decision and rationale in Christopher R., and the rationale in Champagne, we conclude that the answer is no. It was the State's burden, inherent in its obligation to prove the amount of restitution by a preponderance of the evidence, to present admissible evidence showing the replacement cost for the iPhone 4 as of the date of the theft. In this case, that proof might have been as simple as proffering the price of an iPhone 4 from an online retailer. Indeed, cell phones are widely available and standardized tools of modern life, for which replacement costs may be rather easily determined.2 Instead, the State relied solely on the original purchase price, and the juvenile court erred in basing its restitution order solely on that evidence. Therefore, we will vacate the order of restitution and remand the case to the juvenile court so that it may conduct a restitution hearing, at which the State must establish, by competent evidence, the appropriate amount of restitution for the stolen phone. See Juliano, 166 Md. App. at 544. On January 19, 2011, Kane and his co-defendant were indicted on two counts of conspiracy to commit wire fraud and fraud in connection with computers. . . . The indictment also contains four forfeiture allegations involving `any property which constitutes or is derived from proceeds traceable to’ the offenses charged in the indictment, seeking `an in personam criminal forfeiture money judgment up to $1,500,000.00.’ . . . The indictment alleges that, from about April 2009 to September 2009, Defendants devised a way to exploit video poker machines to defraud casinos, which involved changing the playing credits to a higher denomination, accessing the previous winning hand of cards that were wagered at the lowest denominations, and triggering a jackpot without playing or paying at the higher denomination. . . . According to Kane, on July 3, 2009, after he won a $10,000 jackpot at the Silverton Hotel and Casino (`Silverton’) and before he could be paid, Gaming Control detained him for allegedly committing the fraud asserted in count 2 of the indictment. . . .
At the time, he had $27,000 in his pocket (`the Property’) and approximately $1,200 in credit on the machine he was playing, which Gaming Control cashed out. . . . Gaming Control seized the Property and cash `as evidence.’ . 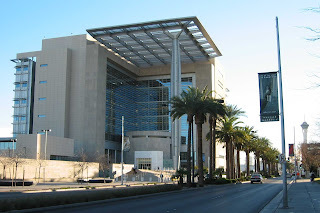 . . A criminal action was initiated in Las Vegas Justice Court, where Kane made this initial appearance on September 1, 2009 (`State Case’). . . . The State Case was subsequently dismissed in January 2011, when the Government filed a complaint and the indictment was issued in this case. . . . Kane contends that the Property belongs to him and was not part of the proceeds of any alleged fraud. . . .
[i]n October 2012, in response to Defendants' motions to dismiss, the Magistrate Judge recommended dismissal of counts 2 and 3 of the indictment. . . . The Government initially objected but subsequently moved to dismiss these two counts. . . . The Government later moved to dismiss the remaining conspiracy count without prejudice. . . . Both motions were granted. . . . The Court issued the final dismissal order on November 25, 2013. . . .
Over a year later, on June 10, 2015, Kane filed a motion for return of property taken by Gaming Control and FBI agents. . . . In its response, the Government indicated it would return items seized by the FBI, excluding the money seized by Gaming Control. (Dkt. no. 124 at 1.) At the hearing on the motion, the parties advised the Magistrate Judge that the matter was resolved . . . accordingly, the Magistrate Judge denied the motion without prejudice. . . .
[a] person aggrieved by an unlawful search and seizure of property or by the deprivation of property may move for the property's return. The motion must be filed in the district where the property was seized. The court must receive evidence on any factual issue necessary to decide the motion. If it grants the motion, the court must return the property to the movant, but may impose reasonable conditions to protect access to the property and its use in later proceedings. Kane's counsel subsequently contacted Gaming Control for the return of the Property. . . . In a letter dated July 31, 2015, Gaming Control informed Kane that he had `thirty (30) days to file a written claim with the State Gaming Control Board (Board) for return of the evidence seized in the above-referenced matter [the State Case].’ . . . The letter also outlines the procedures for resolving any disputed claims to the seized Property pursuant to Nevada Revised Statutes § 465.110. . . . Kane responded to assert a claim to the Property, as did Silverton. . . . The Government asserts no claim to or interest in the Property. . . .
On August 17, 2015, Kane filed a second motion for return of property, seeking a return of the Property (`the Motion’). . . . After a hearing on the Motion, the Magistrate Judge issued the [Report & Recommendation] to which Kane now objects. As this site explains, a U.S. District Court Judge, like the judge who has this case, can refer certain matters to a U.S. Magistrate Judge, which means the Magistrate Judge will take steps to do what he or she needs to do to draft a Report & Recommendation that will recommend that the District Court Judge take certain action, such as granting or denying a motion for return of property. The District Court Judge should review the recommendation(s) the Magistrate Judge makes in the R&R and either accept them, and the action predicated on them, or reject both. do not address the standard of review of the Magistrate Judge's recommendation. The Magistrate Judge issued an R&R because the ruling is equivalent to an order of dismissal for lack of jurisdiction, which is dispositive and may not be finally determined by a magistrate judge. . . . This Court `may accept, reject, or modify, in whole or in part, the findings or recommendations made by the magistrate judge.’ 28 U.S.Code § 636(b)(1). Where a party timely objects to a magistrate judge's report and recommendation, then the court is required to `make a de novo determination of those portions of the [report and recommendation] to which objection is made.’ 28 U.S. Code § 636(b)(1). In light of Kane's objection, the Court will engage in a de novo review to determine whether to accept the Magistrate Judge's R&R. the Court decline to exercise jurisdiction over Kane's Motion and deny the Motion without prejudice to Kane, which would allow him to pursue recovery of the Property under state law. . . . Kane contends that the Magistrate Judge is right on the law but wrong in its application. . . . The gist of Kane's argument is that because the Property was seized as `evidence’ in this case, and because the Government sought its forfeiture in this action, the Property has a nexus to this case, not the State Action. Kane also raises arguments that go to the merits of his Motion. However, because the Court agrees with the Magistrate Judge's recommendation to decline to exercise equitable jurisdiction, the Court does not address the merits of the Motion. the Property pursuant to Rule 41(g) of the Federal Rules of Criminal Procedure. Rule 41(g) provides for `[a] person aggrieved by an unlawful search and seizure of property or by the deprivation of property [to] move for the property's return.’ Rule 41(g). While Rule 41(g) is generally used to facilitate the return of seized property after an indictment has been filed, `district courts have the power to entertain motions to return property seized by the government when there are no criminal proceedings pending.’ Ramsden v. United States, 1 F.3d 322, 324 (U.S. Court of Appeals for the 9th Circuit 1993) (referencing Rule 41(e), as amended in 1989, which addressed motions for return of property). Such motions, however, `are treated as civil equitable proceedings and, therefore, a district court must exercise ‘caution and restraint’ before assuming jurisdiction.’ Id. (quoting Kitty’s East v. United States, 905 F.2d 1367, 1370 (U.S. Court of Appeals for the 10th Circuit 1990)). [t]o ensure that the district courts refrain `from exercising their equitable jurisdiction too liberally,’ the Ninth Circuit, like other circuit courts, has adopted four factors for the district court to consider in deciding the threshold question of jurisdiction. Ramsden v. United States, supra; see United States v. Comprehensive Drug Testing, Inc., 513 F.3d 1085, 1103 (U.S. Court of Appeals for the 9th Circuit 2008) (noting that the district court may exercise equitable jurisdiction to entertain a Rule 41(g) motion only after analyzing the four-factor test articulated in Ramsden). `These factors include: 1) whether the Government displayed a callous disregard for the constitutional rights of the movant; 2) whether the movant has an individual interest in and need for the property he wants returned; 3) whether the movant would be irreparably injured by denying return of the property; and 4) whether the movant has an adequate remedy at law for the redress of his grievance.’ Ramsden v. United States, supra. If the `balance of equities tilts in favor of reaching the merits’ of a Rule 41(g) motion, the district court should exercise its equitable jurisdiction to entertain the motion. Ramsden v. United States, supra. agree[d] with the Magistrate Judge that a balance of these factors counsels against reaching the merits. The Court accordingly declines to exercise equitable jurisdiction. The first factor—whether the Government has demonstrated a callous disregard for Kane's constitutional rights—is at best neutral. There is no dispute that the Government did not seize the Property, did not take actual possession of the Property after the initiation of this case, and does not claim an interest in the Property. At the hearing before the Magistrate Judge, the Government suggested that because the Property was not seized pursuant to a federal warrant, the Court should allow the dispute to be resolved through the process established under state law. . . . Kane insists that the Government's contention, if accepted, would allow the Government to abdicate responsibility any time the Government works with state or local agencies. . . . The Court need not resolve these hypothetical scenarios because evaluation of the first factor is necessarily fact specific. The Property was seized as `evidence’ by Gaming Control in the State Action, which was initiated and only dismissed after the complaint was filed and the indictment returned in this case. The Property was not seized by any agency of the federal government. And Kane did not seek a return of the Property when the State Action was dismissed—he even failed to inquire as to the status of the Property at the time. Kane further argues that the Government in this case sought to forfeit the very Property that the Government claims it did not possess. . . . However, as the Government aptly points out, the forfeiture allegations are for a general `criminal forfeiture money judgment up to $1,500,000.00’ . . ., not for forfeiture of the Property in particular. . . . This distinction makes a difference in the Court's evaluation of the callousness of the Government's action under the first factor. There is no dispute that Kane has an interest in the return of the Property, which is a substantial sum of money. The second factor thus favors the exercise of equitable jurisdiction. However, the third and fourth factors counsel against the exercise of equitable jurisdiction. Kane will not suffer irreparable injury because he has an adequate remedy under state law. In fact, Gaming Control has informed Kane of the process for resolving disputed claims to seized evidence as established in Nevada Revised Statutes § 465.110(2)(b). Section 465.110(2) provides, in pertinent part, that `evidence seized by an agent of the [Gaming Control] Board which does not result in a complaint charging a violation of the law and evidence for which an order of disposition is not entered pursuant to subsection 1 [addressing disposal of evidence]’ must be resolved pursuant to an established process. . . . First, Gaming Control must notify potential claimants of their right to file—and their deadline for filing—a claim, which it has done here. Nevada Revised Statutes § 465.110(2)(a). Where more than one claimant asserts a claim, the dispute must be resolved pursuant to the following process: (1) the claimants may agree on how to divide the evidence, subject to Gaming Control's approval; (2) the claimants may submit the dispute to binding arbitration; or (3) Gaming Control may interplead the evidence. Nevada Revised Statutes § 465.110(2)(b)(1)-(3). This process has been initiated in this case, thus giving Kane an adequate remedy to pursue a return of his claimed property. Kane argues that the process established in subsection 1, not subsection 2, of Nevada Revised Statutes § 465.110 applies. . . . Subsection 1 provides that `[a]fter the final adjudication of . . . any other complaint involving the seizure of evidence by an agent of the Board, the court may enter an appropriate order disposing of all physical evidence pertaining to the complaint.’ Nevada Revised Statutes § 465.110(2)(a). But the complaint in the State Action was not adjudicated; it was dismissed when federal charges were filed. More important, even assuming that dismissal of the State Action amounts to a `final adjudication,’ Kane's remedy is to seek relief from the court in the State Action pursuant to Nevada Revised Statutes § 465.110(1). In sum, `the balance of the equities tilts’ against reaching the merits of Kane's request under Rule 41(g). . . .The Court must therefore `exercise ‘caution and restraint,’ and refrain from exercising equitable jurisdiction to entertain Kane's Motion. . . .
the Magistrate Judge's Report and Recommendation . . . is adopted in full. Kane's objection to the R&R . . . is overruled. The Court declines to exercise equitable jurisdiction to entertain Kane's second motion for return of property. Kane's second motion for return of property . 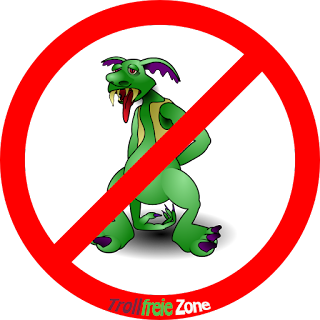 . . is denied without prejudice. As Wikipedia explains, when a motion is denied “without prejudice,” it means the party who filed that motion can try again, in another motion. The "Internet Troll" and "Knowingly Offering to Purchase Official Ballots"
[a]cting as a self-described `Internet troll,’ defendant posted an advertisement on Craigslist, stating that he would give $20 to a person who would bring the person's official ballot to defendant, let defendant complete it, then sign the person's own name and submit the ballot to an elections volunteer. It is undisputed that defendant did not intend to actually vote using another person's ballot. To the contrary, the state acknowledged that defendant's motives were `political shenanigans * * * on the Internet’ and `entertainment.’ Nonetheless, the state charged defendant with knowingly violating Oregon Revised Statutes §260.715(9), which prohibits making an `offer to purchase, for money or other valuable consideration, any official ballot.’ The trial court convicted defendant after rejecting his arguments that Oregon Revised Statutes §260.715(9) unconstitutionally abridges expression and that his actions had not violated the statute. [o]n appeal, the parties dispute the meaning of certain terms used in §260.715(9). They also disagree about whether the statute, as properly construed, violates various constitutional provisions, including Article I, section 8, of the Oregon Constitution. We conclude, as explained below, that defendant's actions violated Oregon Revised Statutes §260.715(9). That is, by making the Craigslist posting, defendant did `offer to purchase’ a ballot, because his words communicated that he was proposing to acquire another person's ballot in exchange for money. However, we also conclude that the statutory prohibition on making an `offer to purchase’ a ballot is facially unconstitutional because, by its terms, it criminalizes expression and is not wholly contained within a well-established historical exception to the protections of Article I, section 8. Accordingly, the trial court should have granted defendant's demurrer. Because it did not, we reverse and remand. (Boldface in original.) Craigslist deleted the post within half an hour. Although the posting included a link allowing people to reply to defendant's message, he did not get any responses during the brief time the message was posted. State v. Hirschman, supra (emphasis in the original). state charged defendant by district attorney's information with knowingly offering to purchase official ballots in violation of Oregon Revised Statutes §260.715(9). Defendant demurred to the information before trial, contending that Oregon Revised Statutes §260.715(9) facially violates the free speech protections of the state and federal constitutions. In arguing that Oregon Revised Statutes §260.715(9) violates Article I, section 8, of the Oregon Constitution, defendant asserted, among other things, that the statute directly regulates speech and is not wholly contained within a well-established historical exception to section 8's protections. The trial court denied defendant's demurrer. Specifically, the court concluded, in part, `that Oregon Revised Statutes §260.715(9) is directed at harmful effects. * * * The statute is not directed at the content of speech; the statute prohibits conduct, specifically a type of commerce rather than speech itself.’ Additionally, the court concluded that the statute is not overbroad or unconstitutionally vague. In so deciding, the court accepted the state's definition of `offer’ as being `a proposal to enter into a bargain wherein a ballot is exchanged for consideration,’ regardless of whether the person making the offer subjectively intended to complete the transaction. 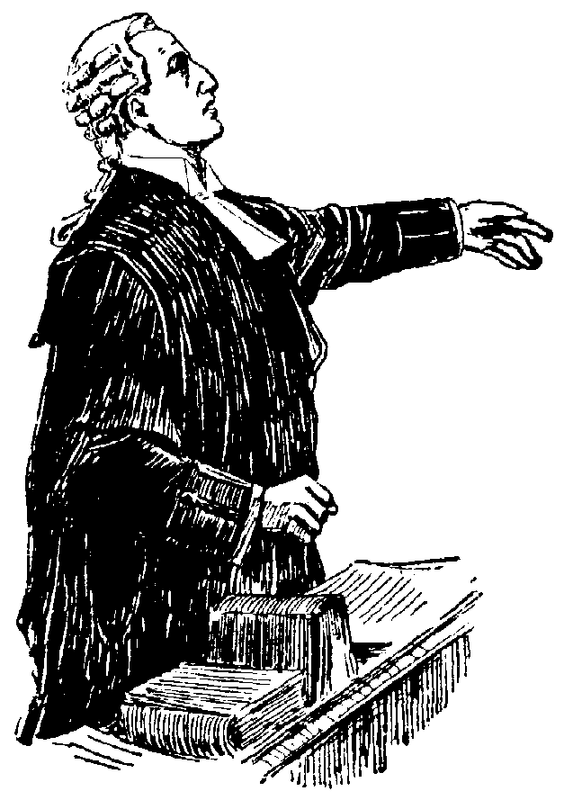 During a discussion of proposed jury instructions, the parties again debated the meaning of the word `offer.’ In that context, the trial court rejected defendant's argument that a communication qualifies as an `offer’ only if the offeror `actually intend[s] to enter into the contract.’ To the contrary, the court reasoned that `offer’ means `a proposal communicated by either words, conduct, or both that would reasonably lead the party to whom it is made to believe that the proposal is intended to create a contract, if accepted,’ without regard to the offeror's subjective intent. After the state rested, defendant moved for judgment of acquittal, contending, in part, that he `did not offer to purchase an official ballot for money.’ (Emphasis in original.) In essence, defendant contended that he had not offered to `purchase’ a ballot, but had offered money only for the privilege of completing the ballot. Additionally, defendant argued that he had not knowingly or intentionally made an `offer,’ because no reasonable person would believe that his post manifested an actual intent to purchase a ballot and because a person does not `offer’ to purchase a ballot, as that term is used in Oregon Revised Statutes §260.715(9), unless the person intends to complete the transaction. The court denied defendant's motion. Defendant raised similar points, again unsuccessfully, during his closing argument. The court again rejected those arguments, found defendant guilty, and sentenced him to 12 months of bench probation. Defendant appeals, renewing his challenges to the trial court's interpretation of `purchase’ and `offer’ and, alternatively, his challenges to the constitutionality of Oregon Revised Statutes §260.715(9). Specifically, defendant asserts that the trial court erred in three respects: (1) in disallowing defendant's demurrer, which challenged the facial constitutionality of Oregon Revised Statutes §260.715(9); (2) in permitting `the state to elect a theory of Oregon Revised Statutes §260.715(9) that interpreted “offer” to have the same definition as the Uniform Civil Jury Instructions’; and (3) in denying defendant's motion for judgment of acquittal, particularly referencing the court's interpretation of `purchase’ and `offer.’ We begin our analysis by considering the statutory-interpretation issues raised in defendant's challenge to the denial of his motion for judgment of acquittal. See State v. Rodriguez-Moreno, 273 Or. App. 627, 633 n.6, 359 P.3d 532 (2015), rev. den, 358 Or. 611, 369 P.3d 386 (2016) (courts generally address statutory arguments before constitutional arguments, and address state constitutional arguments before those based on the federal constitution). We then address defendant's contention that the trial court should have granted his demurrer. State v. Summers, 277 Or. App. 412, 371 P.3d 1223 (2016). We review a trial court's denial of a demurrer for legal error. State v. Woodall, 259 Or. App. 67, 69, 313 P.3d 298 (2013), rev. den., 354 OR. 735, 320 P.3d 567 (2014). The state acknowledges that the term `purchase’ can, as defendant asserts, mean the acquisition of a tangible object. The state argues, however, that the term also encompasses the act of buying the intangible right to use an object. Like Webster's, Black's definition of `offer’ focuses on the offeror's actions and what they “would lead a reasonable person to understand,” and does not reflect anything about the offeror's subjective intent. Thus, the dictionary definitions of the word are consistent with the trial court's determination that `offer,’ as used in Oregon Revised Statutes §260.715(9), relates to the message that the offeror has conveyed, and that it does not require the state to prove that a person charged with offering to purchase a ballot actually intended to follow through with the purchase. We conclude that the word `offer’ means, in this context, a communication that would objectively be understood as proposing to engage in a described transaction. . . . In sum, the trial court did not err when it rejected defendant's contention that the phrase `offer to purchase,' as used in Oregon Revised Statutes §260.715(9), encompasses a requirement that the person charged with violating the statute have subjectively intended to follow through on that offer if it were accepted. The trial court correctly denied defendant's motion for judgment of acquittal to the extent it was premised on that interpretation of the statute. [t]o recap: in rejecting defendant's challenge to the denial of his motion, we have concluded that a person `offer[s] to purchase * * * any official ballot,’ for purposes of Oregon Revised Statutes §260.715(9), if the person communicates a message that objectively would be understood as proposing to purchase the right to use another person's ballot. With that understanding in mind, we turn to defendant's argument that the trial court should have granted his demurrer because the statute abridges expression in violation of Article I, section 8. The court pointed out that that Article I, section 8, of the Oregon Constitution, provides: `No law shall be passed restraining the free expression of opinion, or restricting the right to speak, write, or print freely on any subject whatever; but every person shall be responsible for the abuse of this right.’ It also explained that “[u]nder the analytical framework described in State v. Robertson, 293 Or. 402, 649 P.2d 569 (Oregon Supreme Court 1982), we determine into which of three categories the challenged statute falls.” State v. Hirschman, supra. `Under the first category, the court begins by determining whether a law is ‘written in terms directed to the substance of any opinion or any subject of communication.’ . . . State v. Robertson, supra. If it is, then the law is unconstitutional, unless the scope of the restraint is ‘wholly confined within some historical exception that was well established when the first American guarantees of freedom of expression were adopted and that the guarantees then or in 1859 demonstrably were not intended to reach.’. . . If the law survives that inquiry, then the court determines whether the law focuses on forbidden effects and ‘the proscribed means [of causing those effects] include speech or writing,’ or whether it is ‘directed only against causing the forbidden effects.’ . . . If the law focuses on forbidden effects, and the proscribed means of causing those effects include expression, then the law is analyzed under the second Robertson category. Under that category, the court determines whether the law is overbroad, and, if so, whether it is capable of being narrowed. State v. Robertson, supra. If, on the other hand, the law focuses only on forbidden effects, then the law is in the third Robertson category, and an individual can challenge the law as applied to that individual's circumstances. State v. Robertson, supra. [f]or two reasons, we readily conclude that the statutory provision is, by its terms, directed toward the content of expression. First, as noted, we have construed the term `offer to purchase’ to mean a communication that objectively conveys a proposal to purchase another person's ballot. Thus, by prohibiting the making of such an offer, the legislature has criminalized the act of communicating a certain message. Because a person can violate the pertinent part of Oregon Revised Statutes § 260.715(9), only through expression—by communicating the prohibited message—that part of the statute appears, by its terms, to fall within the first Robertson category. See State v. Moyer, 348 Or. 220, 232, 230 P.3d 7 (2010) (statute prohibiting making a campaign contribution in a false name fell within the first Robertson category because `the falsity that the statute prohibits can only be achieved through expression—through one person's communication of a falsehood to another person’). Second, Oregon Revised Statutes § 260.715(9), is not specifically directed against any harmful effects of the prohibited communication in a way that would bring the statute within the second Robertson category. Even assuming that the state has accurately characterized the harms that the legislature may have hoped to prevent, a person's communications can violate Oregon Revised Statutes § 260.715(9), whether or not the targeted harms occur. Thus, defendant's Craigslist posting violated the statutory prohibition against offering to purchase a ballot without regard to whether, in fact, that posting created public doubt in the validity of elections or the appearance of fraud. . . .
suggested any other well-established historical exception to Article I, section 8, protections that might apply to the restriction on expression that Oregon Revised Statutes § 260.715(9), imposes, and we are not aware of one. Nonetheless, the state argues more broadly that `a historical exception exists authorizing the government to closely regulate the electoral system in order to ensure the accuracy and validity of its results, as well as public trust in the accuracy and validity of those results.’ The state's argument reduces to a contention that any election law designed to promote public trust in the state's election system must be constitutional, even though it restricts speech. Id. The same is true here. No matter how much one might wish to reduce cynicism about elections (and any justifications for that cynicism), the legislature cannot accomplish that goal by suppressing expression because of the `supposed harm that the message itself might be presumed to cause to the hearer or to society.’ State v. Ciancelli, 339 Or. 282, 318, 121 P.3d 613 (2005). But that is exactly what the pertinent part of Oregon Revised Statutes § 260.715(9) does. In sum, the statutory prohibition on making an `offer to purchase’ a ballot, contained in Oregon Revised Statutes § 260.715(9), violates Article I, section 8, of the Oregon Constitution. The trial court erred when it denied defendant's demurrer to the information, which charged him with violating that statute. The court therefore reversed Hirschman’s conviction and remanded the case to the trial court for further proceedings. State v. Hirschman, supra. Video Voyeurism, the Cell Phone and "Plain View"